Ranpura Farm CatteryBowl Road, Charing, Ashford, Kent, TN27 0HB. Visit our online booking form. Check availability for the dates you require using our booking form. Thank you Eva for taking care of Alfie while we were away, he seemed so happy when we picked him up. He also looked very healthy. Eva just wanted to say a big thank you for taking care of Shandy she was well looked after, also love your web cam idea it gave me peace of mind. 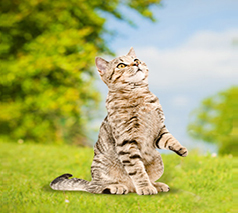 Ranpura Farm Cattery is a licensed animal boarding establishment, offering Secure, Clean and Warm Accommodation for your Feline Friends. All © Copyright 2015 reserved.